Interested in taking college courses at Goshen College before you graduate? The early enrollment program at Goshen College is for local and regional high school juniors and seniors who excel in one or more subject areas and are ready for more advanced study at the college level. The program also allows capable high school students to sample college study at a reduced tuition rate. Any qualified high-school junior or senior is eligible to apply. Complete the Application for Early Enrollment (pdf). A separate application must be filed for each semester of enrollment. The student enrolls part time at Goshen College while maintaining enrollment in high school. The total number of college courses a student takes must be equal to or fewer than the number of high school courses taken during the same period. Early Enrollment is only for fall or spring semesters. Current Goshen College students receive priority in class selection until two weeks before classes begin. You will be notified prior to registration as to the status of your enrollment. Students need to be aware that the Goshen College academic calendar may not match their school calendar. 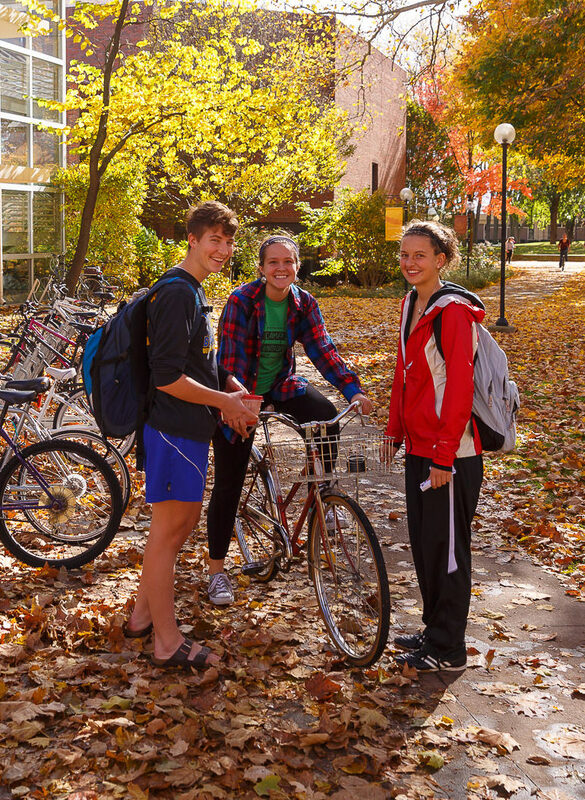 Attendance is a critical component to the overall student evaluation, so students should plan on attending their Goshen College classes even when their high school is not in session. A Goshen College enrollment counselor will provide course offering lists and assist in identifying the appropriate college courses. The high-school guidance counselor and student are expected to plan together to avoid any schedule conflicts. Some courses may require placement tests. Early enrollment students may select from 100- and 200-level courses. Course prerequisite documentation must be provided before registration is complete. The college’s registrar will assist with registration verification and making your tuition payment. Receive regular credit for the college courses taken. If you receive a grade of C or higher, the credit may be used toward any Goshen College degree program, or can be transferred to other colleges and universities. $175 per credit hour. For example, a three-hour course costs $525. No financial aid or other tuition discounts are available.